I’m a soft heart. I really am. Over the last year, I’ve run for the shooting tragedies in Paris, Orlando and Chattanooga. I’ve run to bring awareness and benefit to the folks suffering through a water crisis in Flint MI. 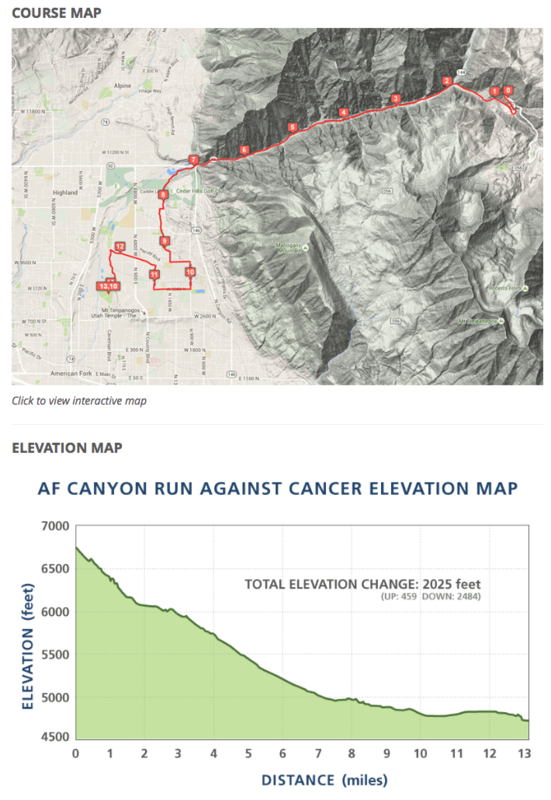 I’ve run to raise money for colon cancer awareness, cures and support. And as always, I’ve run in honor of our military, and in remembrance of 9/11. And now once again, I’ve run to help aid folks in distress. This time, it’s for the folks in the Smokies, who’ve dealt with the biggest wildfire tragedy in that area in a century. The images and videos folks have posted, especially of Gatlinburg, have been heart-wrenching. It looks otherworldly. The mountains there are covered in fire, looking like something out of an apocalyptic filmmaker’s story. It just doesn’t seem possible that this is happening in east Tennessee. When Vacation Races and Virtual Running Club sent out an email blast about this race over the weekend, I knew I had to sign up. I needed to do something to help. And with this race, 100% of the proceeds are going to one of four charities that are active in the area. I chose Dolly Parton’s “My People Fund”. Saturday, I did my miles for this race, taking things slow, as this was my first time out on trail after my calf blowout in Tulsa. I followed my rule of petting every dog I saw, which kept my pace down. And although I felt a little tightening in my right calf, it wasn’t too bad. I believe I need to get out there more this week, and put a few more miles on my leg to see how I’m recovering. And in fairness, that’s what east Tennessee is gonna do, too. They’ll assess what’s happened, pick up the pieces, and go right back out there, doing what they do. I know that the any resilience that I have came from being raised in that region. It’s part of the very air there, and I know they’ll recover, and be stronger for it. Yesterday, I motored into Tulsa for a weekend of Route 66 races. However, before racing, I had some work to do. I got into town around lunchtime, got checked into the hotel (painless! ), and walked to the Cox Business Center, where the expo was being held. First stop, the volunteer checkin table. This is the second year I’ve volunteered at the expo, and I really enjoy it. The folks at Route 66 really make it attractive too — for volunteering, you get a medal that’s as big as the 5K medal. That’s a huge incentive, and I’m sure that makes it easy for them to attract the almost 2000 volunteers that make the race happen. After getting checked in, I went to pick up my bibs. Last year, this was a real challenge. I volunteered there last year, and I was a whirling dervish, running up and down the boxes of bibs, finding folks’ bibs. This year, they had separate kiosks broken up by bib number. In my case I had to stop three times to get my three bibs, but it really worked sooooo much better! Next stop was my stint was at the Fan Zone table. We helped folks make signs to cheer on their runners — or strangers! In fairness, there weren’t very many people in the expo at that time, so it was pretty slow. After six hours of driving and three hours of being on my feet, I was ready to be done. But, I wasn’t done yet. Man, that just makes it all worthwhile! I met Jeremy after the panel, when he told me he was gonna run the half next year because of what I talked about. Put that medals aside, that’s the real reward from this weekend’s events. I’m still blown away! I walked back to the hotel after the panel, having all my non-race obligations completed, and started to think about dinner. This is when I discovered that the hotel doesn’t have room service. 🙁 However, I saw a place that deals in Coney dogs on my walk back. I’m a sucker for a good dog, so I crossed the street, and walked in. From what I’d read on Yelp, the right way to do this was to order three of ’em, so I did. I got them back to the hotel, and they were crazy good. Their version of chili is a little different than mine, but that’s ok with me! Fast-forward to this morning, and it was oddly, all nerves again. This is the third time I’ve run the 5k here, and I know it is a hilly mess, but for some reason, those hills had me nervous. I pulled up my big-boy underpants, girded my loins, and headed out to the start line. For a change, I didn’t get to the start line too terribly early (I’m only two blocks away), and didn’t have to wait in the cold too long. It was 32°, and I was using today to figure out what I needed to wear tomorrow. As it ends up, I was able to do shorts, and be very comfy, so that bodes well for tomorrow. After a short wait, the gun fired, and we were on our way. This race has a few really big hills in it, and the first is less than a kilometer in. I trotted up it like I owned it, enjoying the view of almost 2000 runners on the course. About two kilometers in, my calves started barking pretty hard — the worst in quite a while. (More on that later.) Around 4km in, my legs were doing pretty well, and from there, it’s downhill and then flat. I was in the home stretch, and pretty quickly had the finish line in site. 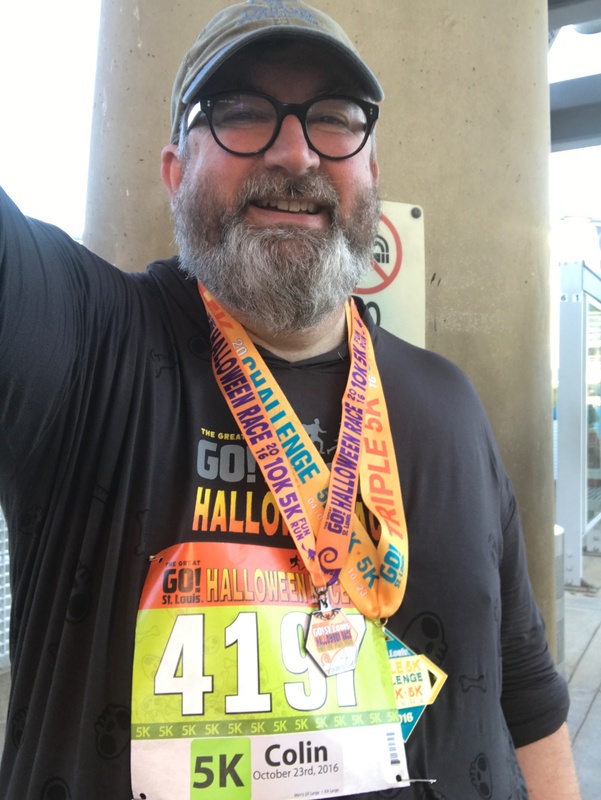 The Fun Run starts about an hour after the 5k starts, so I bypassed the treats and goodies at the end of the race, and found my way over to the starting line once again. This crowd was much smaller — both in numbers and stature. There are a ton of kids that run in this race, and it’s just a hoot to see them tackle this. Some of them make it, some get carried by a parent, but it’s a great, positive experience, and with them all getting medals and high-fives from costumed mascots, it’s something they’ll never forget. By the time the Fun Run is over, all the food lines for the 5k are really gone, so I ended up with just a couple of sacks of cashews. However, the beer truck was still serving, and I had four coupons (two from each bib). I turned in my first two, found a bench, and started drinking my Michelob Ultra’s. 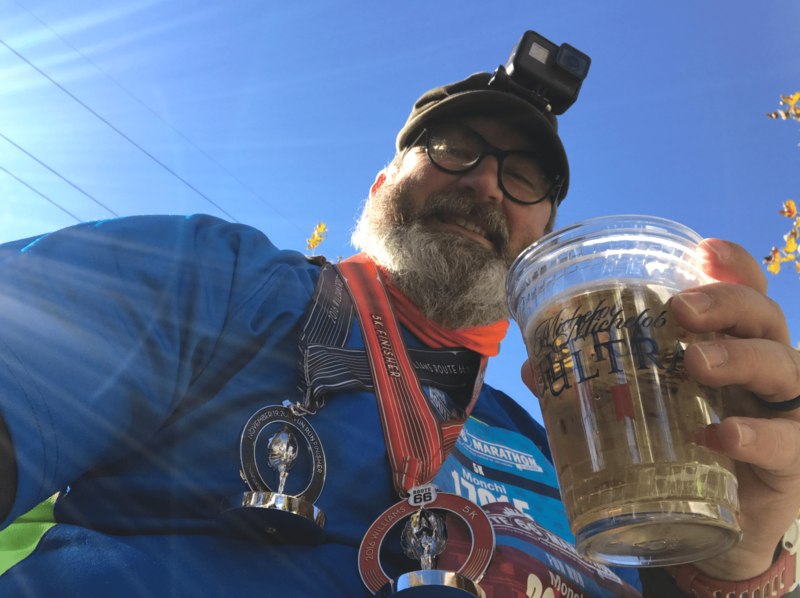 I chatted with some other finisher’s, each of us slowly putting down our brews. I’d asked one of the locals where they’d suggest to go for lunch. They rapidly came up with Caz’s Chowhouse, telling me it was comfort food. That sounded great, so I stood up… and found that my right calf was so tight that I could barely walk. I hobbled along, roughly in the direction of the Caz’s, and found that it got loosened up the farther I walked, so that was a good thing. I got to the restaurant, and asked the guy setting up the chairs for outside seating about when they opened. When I found out it was just about twenty minutes away, I decided to wait it out. I asked about the menu, and he told me about something called The Big Nasty. 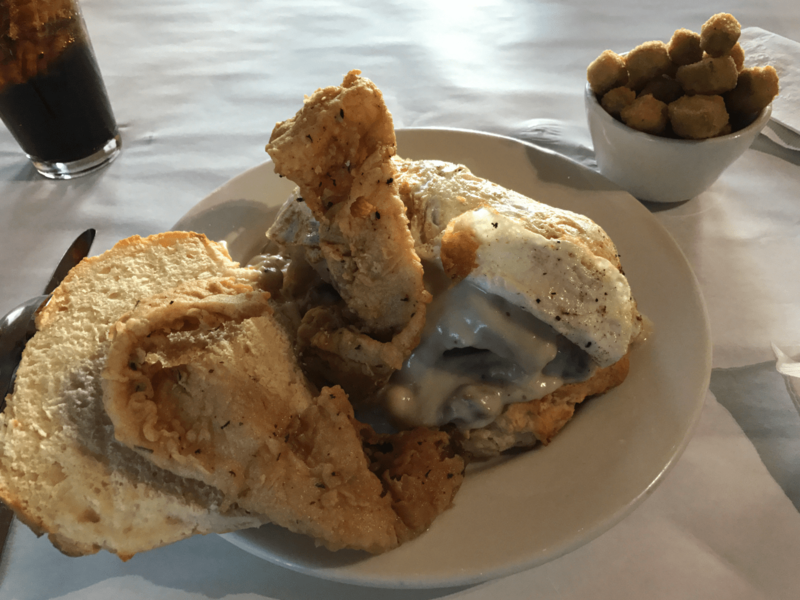 The more he described it, the better it sounded… and then the phrase “chicken-fried bacon” fell out of his mouth. I was sold! The manager invited me in for a cup of coffee and to warm up, so I sat at the bar drinking my cuppa joe, and chit-chatted with her and her staff. As it ends up, she was from Knoxville, and a big UT fan. Perfect! And as I exited Caz’s, I thought I had a couple of blocks yet to walk to the hotel, but I quickly saw that the front door of Caz’s was cattycorner from the back entrance of the hotel. Beauty. So, in all a really good couple of days, but I’ve gotta admit, the tight calf is really worrying me for tomorrow. I don’t know if it was the cold, or if I overdid something on the hills, but something different happened today, and that’s unusual for me nowadays on 5K’s. Stay tuned for tomorrow’s attempt at the half marathon!!! Today was likely the last tune-up before the Route 66 races in Tulsa this weekend. With the unseasonably warm weather (about 70° today, and close to 80° tomorrow), I’m pretty sure that anything I do is gonna feel weird when I get to Tulsa, and take on races where the temps will be closer to 30° when I start. This was also the last of the Star Trek anniversary medals I had squirreled away. Much like the Back to the Future anniversary last year, I hung quite a few Trek anniversary baubles from my medal shelf. I’ve thought a couple of times about taking ’em all down — and that’s a HUGE effort — and grouping like medals together. Maybe some day! It was a glorious day, with loads of sunshine, and several other folks out enjoying the midday break. I changed my route a little, and took the path down Wren Trail. It’s been a little bit since I’ve been on that stretch of pavement, and I’d forgotten how nice it was. At midday, there’s plenty of shade to keep you out of the sun, but still enjoy the breezes. It was really a cleansing, refreshing time spent out in nature. I’ve been gathering up all my goodies for the races this weekend, and as I write this, it dawned on me to see how many events I’ve done between last year’s half marathon, and this year’s. And that number? Seventy-four. Seventy-four times over the last twelve months, I’ve laced up my shoes, gotten my stuff together, and headed out the door to put miles behind me, generally to the benefit of some group or another. That may be a pretty normal cadence for more avid runners than me. For a kid that never put the word “run” in his vocabulary until he was 48, I’m thrilled that I can still do this, and that I’ve stayed interested enough to keep picking ’em up and putting ’em down, all in the name of good causes. This event benefitted Team Mill Hollow. In theory, I was supposed to run this on Election Day, but I couldn’t pull myself away from the news of the day, so I ran this a couple of days after. I set out after work, trying to clear my head of all the awful stuff I was seeing online and in the news — so much hateful rhetoric, from any side you can think of! With the return to standard time, the sun sets much earlier, and I was gifted with a crisp day on which to take a slow, contemplative walk. With music in my ears, I ambled down my regular course, and really looked at what was around me. I stopped to pet an old dog that walks the neighborhood (Elvis is his name! ), and chatted with his owner. I continued on around the neighborhood, seeing the triplet deer that we’ve been watching most of this year, and watching the Canadian geese soaring overhead. And, ya know what … I found a little peace. Whatever we silly ol’ humans are doing with politics — and you can make your own call about the impact of that — nature remains. I’ll still enjoy my quiet walks and runs through God’s glorious creation, and know that no matter what happens — ugly, awful, wonderful, righteous — it’s in His hands, and I’ll just keep on plodding along, one step at a time. I’m now within striking distance of my celebration of five years NED (No Evidence of Disease), which is a glorious thing. Even as I revel in my wonderful outcome, there’s folks around me that aren’t so fortunate. I belong to a running group called the Pathetic Runners. It’s a fun crowd of folks from all over the country, always talking about running woes and successes. I get a lot of inspiration from ’em. The guy that spun it up, David Johndrow, is a real inspiration, and has written a book about his journey called ICU to Marathon: Diaries of a Nearly Dead Man. It’s a funny and poignant read. David’s fought cancer before, and is once again fighting, so he spun up this race as a fundraiser for several cancer charities. Given my journey, I couldn’t help but support David in his. So Thursday, I put on my running shoes, and headed out. This was my 56th event this year, and was the first one since spring that felt terrific. The weather was amazing, sitting in the mid-60s finally, and with another week-an-a-half off the trails, my legs felt really fresh. I took my regular ol’ path on the sidewalks of the neighborhood, and didn’t really push too hard. I’d been fighting a cold since we got back from the cruise, and had a slight injury on top of my right foot — the likely cause being the big ol’ feet of a certain “little” hundred pound dainty flower of a dog named Roxy. I didn’t wanna do anything to jeopardize my races in Tulsa in a couple of weeks, so I just ambled along at my pace, enjoying the great weather, the color of the leaves and trees, and thinking about how fortunate I am that my cancer diagnosis and treatment had such a happy ending. I really am blessed to have had the support of family and friends as I fought my fight. And sure, my fight was nowhere near as tough as some that other folks have to endure — and I totally get that. I was lucky, and each day, each step, is a blessing and a gift. I never loose sight of that. This event benefitted ZERO Cancer, Hope for Young Adults with Cancer, PanCan, and the Melanoma Foundation of New England. Route 66 announced it today… I’m on the Blogger’s Forum panel again this year — woot! I did this last year, and met some wonderful folks. It was cool to just kick back, and talk running and blogging for a little while. It helped settle my nerves before embarking on my first half marathon, and I really needed it then! I’ll also be volunteering from 2-4pm on Friday at the FanZone. Find me, and we’ll make some great signs!!!! If I hear about about any live broadcasting of my panel appearance, I’ll update this post. Tulsa is getting very, very, very real!!! With the onset of fall, it’s time for autumnal races to begin, and that means the Go! Halloween 5K gets a turn on my calendar. After Saturday’s Midwest Jeepthing event at Moonlight Racing, I was pretty dang sore, and wasn’t entirely convinced I’d get up on Sunday for this race. 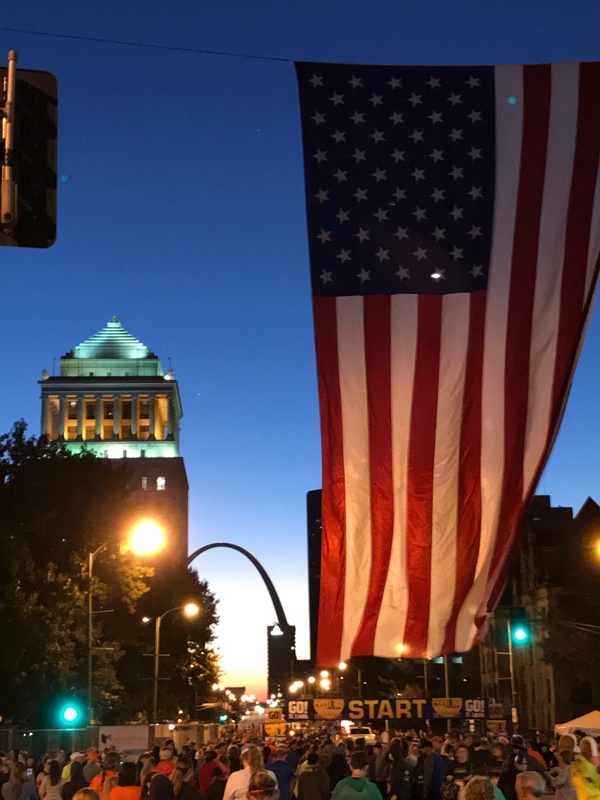 The race began at 7am, so I had to get up at 4:30am to drive to the Metrolink station in Brentwood, where I’d catch a train into downtown. That was seriously early, and when I went to bed last night, I wasn’t sure I’d have it in me. When the alarm went off, I rolled out of bed, threw on Flat Colin, and motored toward the train… after a stop at Dunkin Donuts for some coffee and Munchkins! I got to the race site, early of course, and wandered around. Kaldi’s was there with free coffee, and three food trucks were setting up in the shadow of a double decker mobile bierhaus. It was a glorious fall pre-dawn, and I was waking up and ready to run. And then we waited. And waited. I don’t know what happened, but we kicked off twenty minutes late, and when we did finally begin, we started the race with a hard right turn. For some reason, the race folks had to change the course unexpectedly right at race time, which meant they had to move the start line timing mats to the new start line. The horn sounded, and 1500 of us turned on a dime and were off to the races. Surprisingly, I found a fair amount of mojo, and ran a pretty good race. The course was flatter than last year, and was really pretty enjoyable, and without hills to fight, I made good time. And, I got a bonus medal for completing the Triple 5K Challenge. (The Go! in April and All-American in June were the other two legs.) I love working on multi-race challenges like this, and I was thrilled to get the extra medal for my labors. 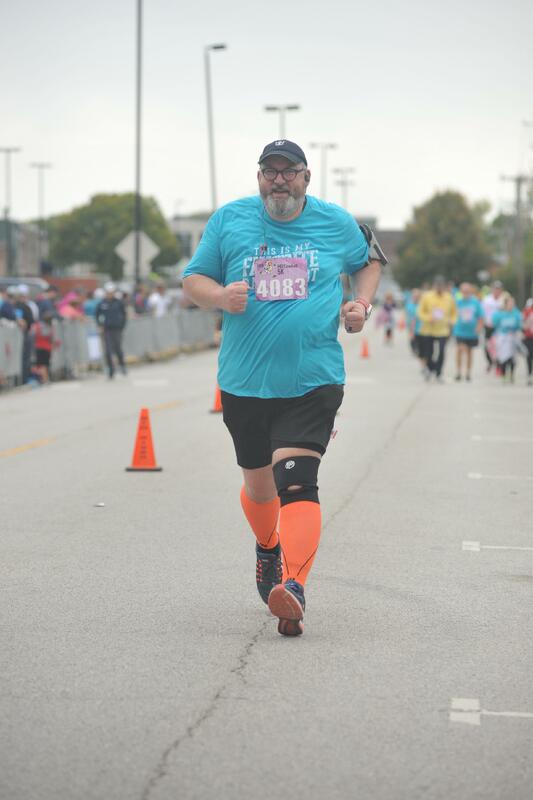 Yesterday was my fourth running in the Mo’ Cowbell in St. Charles (last year’s race was EIGHTY-SEVEN races ago!!!). This race is a favorite of mine for a lot of reasons. I got up super early, got my usual breakfast (half an English muffin, toasted, with peanut butter), stopped at Dunkin Donuts for a cuppa joe, and headed toward St. Charles. There’s always a ton of traffic on I-70 dropping into St. Chuck for this race, but I’ve learned some back ways to scoot in, so I had little traffic to deal with. Part of that is that I also elect to park at Ameristar, and walk a mile to the race site. It’s a great warm up before the race, and cool down afterward. This year, the weather was amazing, right at 60° at the start of the race. The last three years, it’s been much cooler, prompting longer sleeves and legs. This year, it was shorts and a running shirt, which is ideal for me! Like previous years, the event kicked off with “Don’t Fear the Reaper”, and 5000 of us clanging our cowbells in rhythm (more or less!). It’s a sight not to be missed! The marathoners kicked off at 7:30am, and while I knew a couple of folks in the throng — one of whom ran his first-ever marathon this weekend! — I didn’t see any one I recognized. I cheered ’em on, and waited for our 5K to start at 8:00am. It came quick enough, and I got on course at my running pace. The first hill (and really, the only hill of any significance) came about half a kilometer in, and I chugged right up it, slowing to a walk to catch my breath a bit at the top. I remember thinking how quickly we’d gotten to the hill. And that was the theme throughout the whole race. I don’t know if it’s my comfort with this distance or this race, but either way, the race seemed to fly by. I got out on the street, headed toward the turnaround, and saw a co-worker on the way back in from the turnaround. A quick high-five, and I was left to my race again. After making the turnaround, we headed for the Katy Trail, paralleling the river. I enjoy this part of the race, as it’s crushed limestone, so a little easier on the knees, but it’s also beautiful, with loads of trees around. Soon enough, I could see the finish line, and like I’ve done lately, I’ve tried to be photogenic, and kick in some hustle for the finish line photographers. While I didn’t have a “flying” shot this race, I came pretty close. And I did pretty well in the race. Last year, I was a skosh over 45min (a PR for me at the time), and this year, I was a skosh under 50min. That’s kinda my bar for a “good race” anymore, and I was pleased to just be under it. Yeah, there were places I coulda run more, and added a little speed, but it was wonderful to just go out, and enjoy the surroundings, the nice weather, and commune with so many other runners! This race benefitted the Boys and Girls Clubs of St. Charles County.